The marketing industry is changing rapidly. No longer confined to their own isolated spaces, the constructs of ‘traditional’ and ‘online’ marketing are beginning to merge. This broader concept of marketing also encompasses public relations strategies, and promises to change the way people discover new brands and their products. As consumer habits continue to evolve, the need to connect with your audience in a way that consistently reinforces your company’s values across channels is increasing. Public relations is no longer a distinct entity, but one that can and should be closely integrated into present day marketing strategies. Join us as we take a look at why PR should be a major part of your marketing mix. One key benefit of introducing public relations into your online marketing strategy is the potential to create new and engaging content. With 76% of marketers aiming to increase the amount of content produced during 2016, the value of offering something unique has never been greater. Generating newsworthy PR content is a fresh approach that could go long way to getting you noticed, especially with so many marketers still demonstrating a reluctance to integrate PR and marketing content in practice. The most effective PR content will make journalists, editors and bloggers take note of your business – reproducing your story in the their publications and raising awareness of your company with their readership. You can also repurpose the story on your own site as a news story or a blog post, written specifically for your audience. 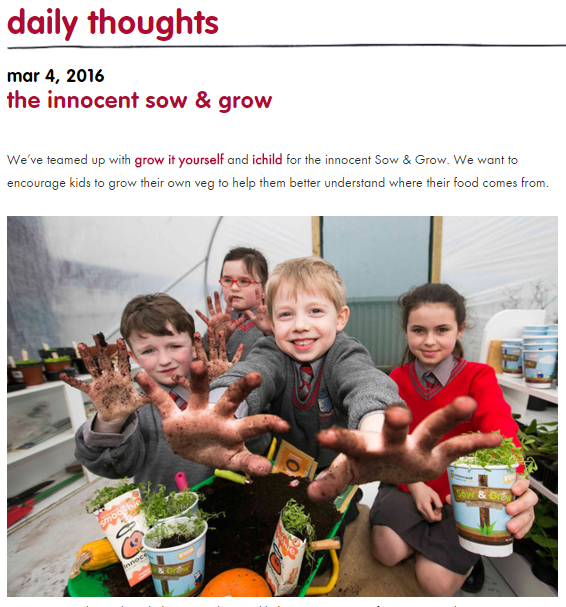 Innocent Drinks is particularly good at this, crafting shareable content for its blog off the back of press activity. In doing so, it ensures their customers find out about their latest activities, even if they miss the news. When your news story appears in widely read publications and on popular websites, you’ll find that your content gets distributed on social media by its readers. The best way to secure these shares is by creating PR stories that are unique and of a consistently high quality. If it surprises or impresses readers, they’ll be likely to share it with their friends and followers. This amplifies the reach of your story and should have an impact on traffic to your site. You can even influence social activity yourself, by sharing press mentions on your own channels, encouraging people to read and share the story. Individuals that follow you online will already have buy-in and relate to your business, so will be more likely to share the story than someone who comes to your story cold. A story we promoted for CruiseDeals.co.uk was published by numerous websites, including Unilad, which secured more than 8,000 shares on social media, bringing the company to a brand new audience who may never have considered taking a cruise holiday before. Consumer habits are evolving and are now as heavily influenced by company values as by the products themselves. An increased focus on public relations is one way to ensure that your audience is familiar with your brand identity in the lead up to making a purchase. This is particularly relevant within more saturated markets, where the core beliefs of a brand can become one of its few defining features. By creating a PR story that reinforces your business’ core values, you will strengthen how you are perceived. For instance, if you want your company to be renowned for its work within the community, you may choose to share a story about your company’s charity work. If you want to be perceived as innovative and market leading, a release about your company’s latest research will support that. 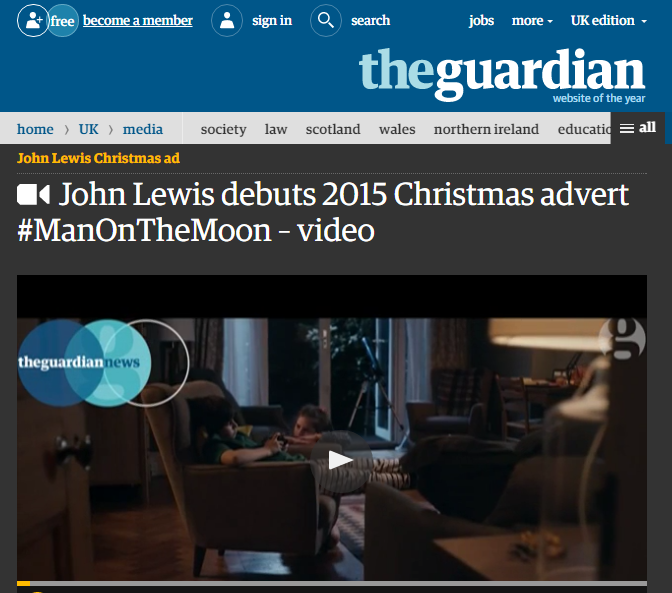 John Lewis’ advert being shared by The Guardian online reinforces the importance of relationships with an audience likely to share those values, encouraging engagement and social sharing. 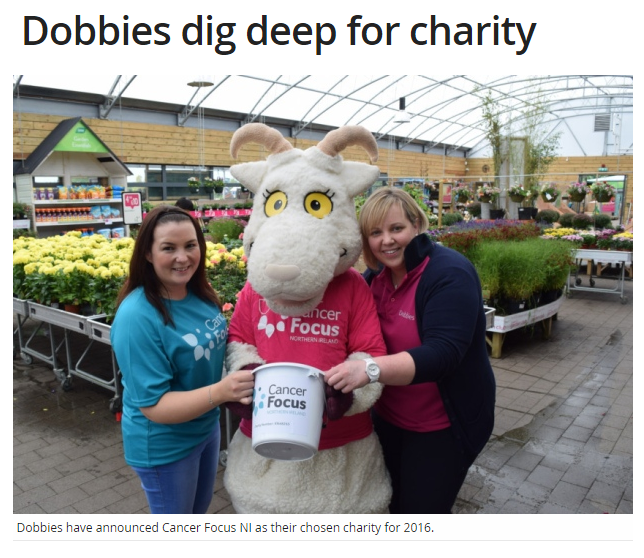 Dobbies in Northern Ireland reinforced its community focus, by sharing news of its charity partnership with a local audience, having secured mentions from the Ulster Star. Getting your news story into a publication that’s trusted by your audience – whether that’s a national newspaper, blog or a social media account – will increase their trust in you. They will perceive your brand as legitimate and worth mention in these articles. Regardless of whether you’re reporting good news – such as your work within the local community – or about research you’ve conducted – you will be perceived as an expert by your potential customers. Providing that the content on your owned channels is consistent with this perception, it will reinforce this trust. If the tone of voice, for instance, is inconsistent with the tone of the news story, it could be jarring and damage how readers see your brand. If you’re keen to learn more about the benefits of introducing PR to your existing online marketing strategy, don’t hesitate to get in touch. The end of Google Authorship, so what now? previous post: Why do people want to read web content?